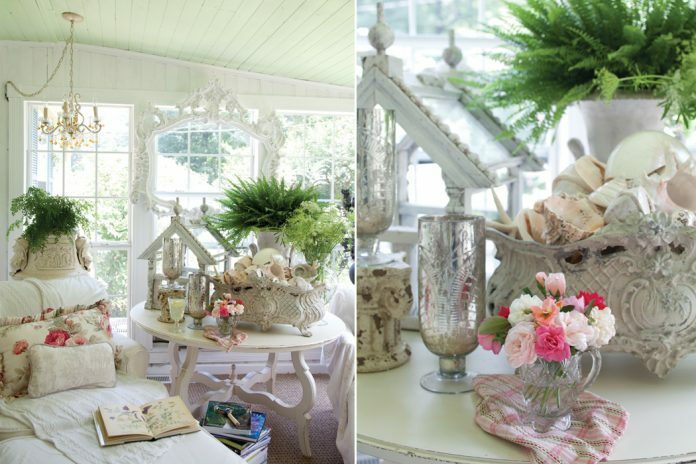 Inspired by a love of nature and gardening, this elegant cottage is filled with beautiful keepsakes and collections. 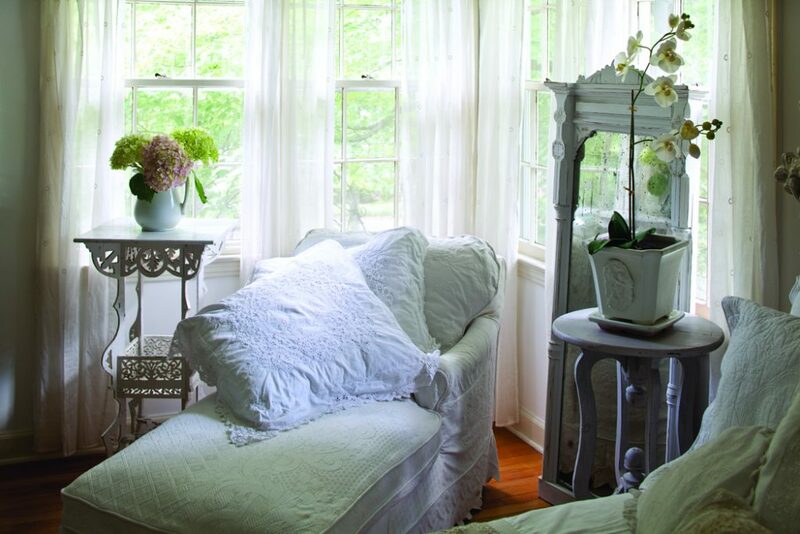 This open and airy cottage is a compilation of a lifetime of treasures collected by the homeowners on various trips with family and friends. 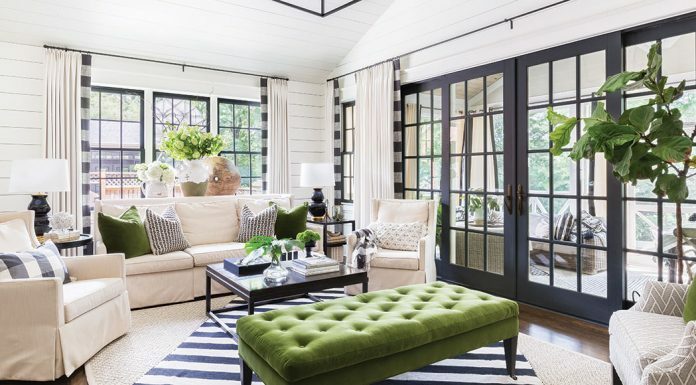 Plenty of large windows draw the eye to the outdoors and allow soft natural light to blanket each room, showcasing the collectibles and antiques. Sweet-smelling bouquets of fresh-cut blooms placed here and there make the space truly inviting. An intimate dining area with all the charm and character of a faraway countryside welcomes friends and family to gather around the table. 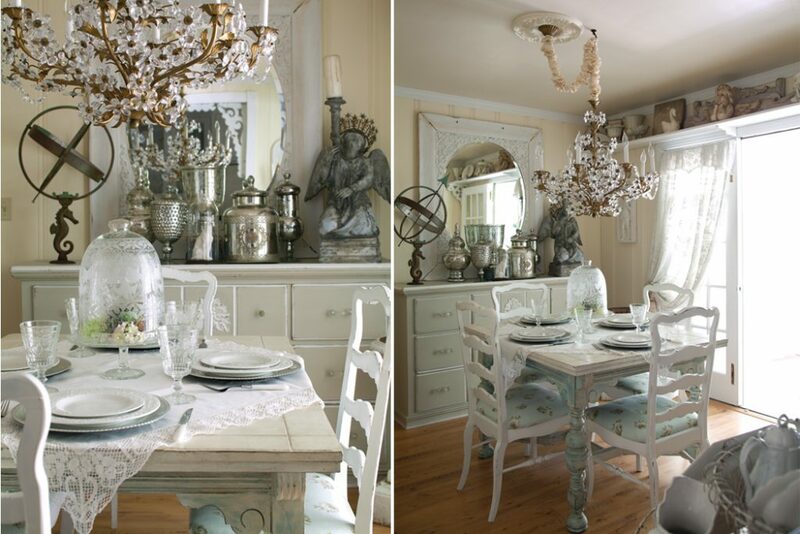 Soft butter walls, which are accented by gentle pops of color found on the china cabinet, dining table, and seat cushions, showcase the exquisite collection of white china, crystal, and silver pieces. 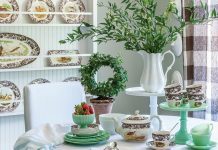 The homeowners enjoyed carefully selecting pieces for their home in antiques shops, flea markets, and quiet little shops in sleepy little towns. This clean, elegant kitchen perfectly complements the rest of the cottage. It blends all of the amenities of a gourmet kitchen with the home’s characteristic charm. 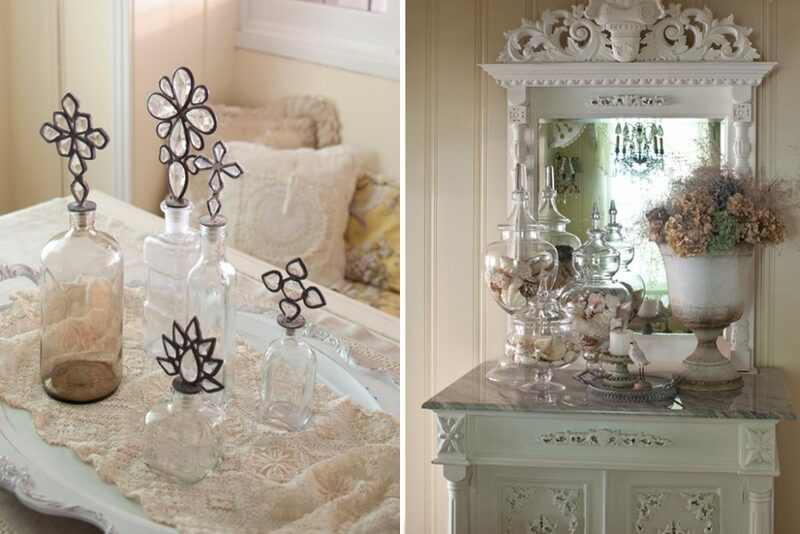 Glass-front cabinet doors expose the everyday china, glassware, and serving pieces collected over the years. 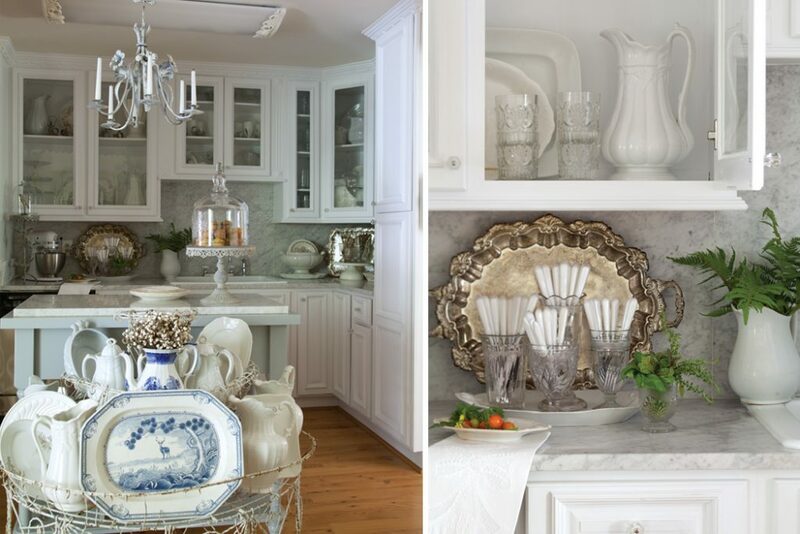 Silver trays propped against an exquisite marble backsplash, along with a dainty chandelier hung above the island, add personality. 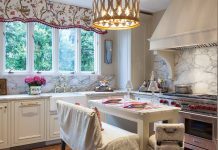 Often the heart of the home, the kitchen should always be a space that is peaceful, warm, and enjoyable for the family. 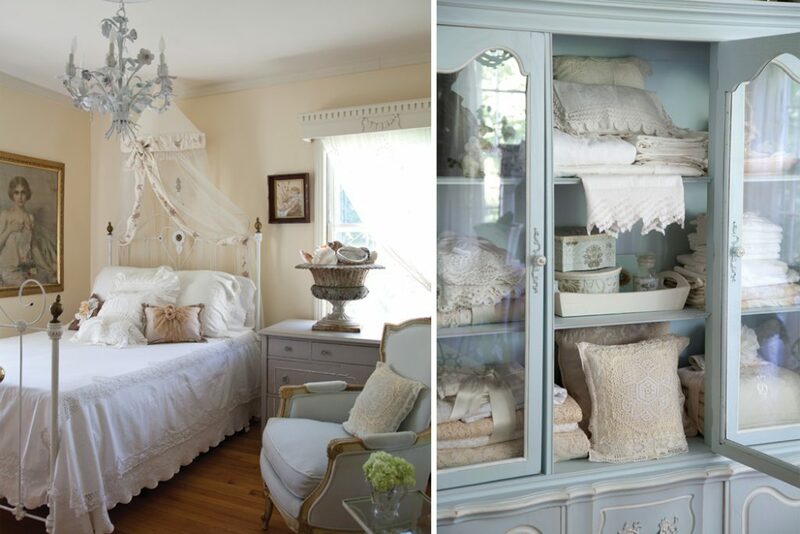 Think of interesting ways to display your favorite collections. Oversize wire baskets serve as unconventional storage and display containers for pitchers and platters, while cake plates and trays along countertops showcase silverware and crystal. 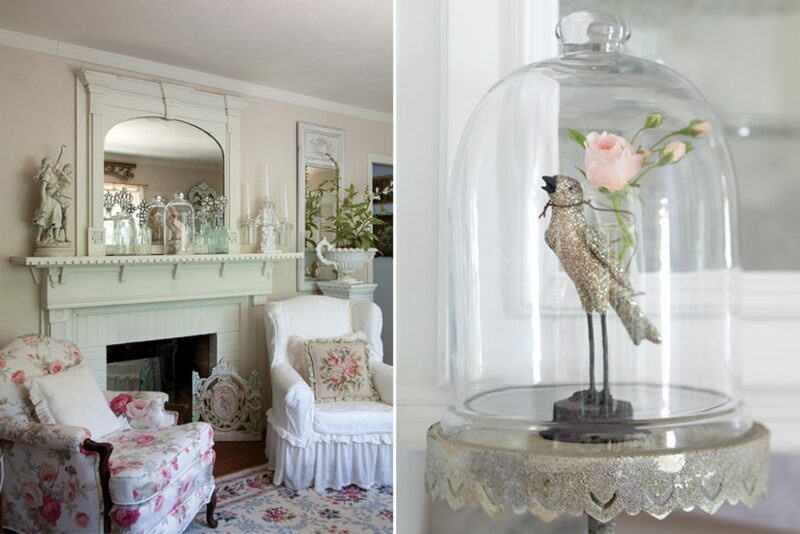 When counter space is sparse, glass cabinet doors allow additional favorite keepsakes to always be on display, not hidden away.